Apple has accused the US government of "attempts to rewrite history", saying that Founding Fathers “would be appalled” by Department of Justice and FBI’s requests. 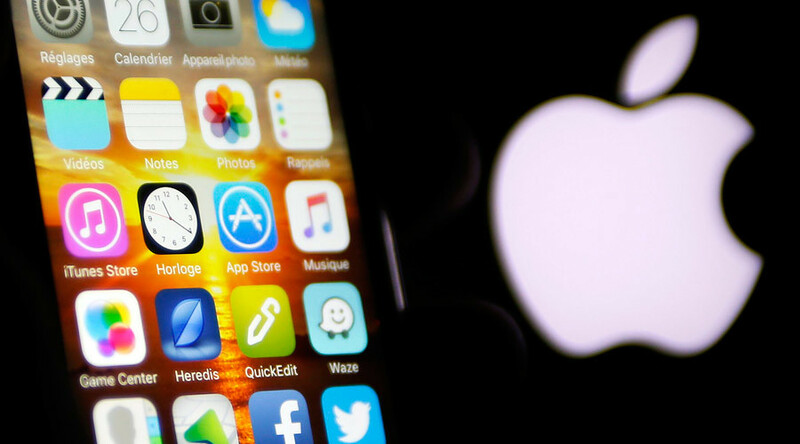 The corporation is fighting demands to unlock the San Bernardino shooter’s iPhone. “The government attempts to rewrite history by portraying the Act as an all-powerful magic wand rather than the limited procedural tool it is,” Apple wrote, referring to a 1789 law, which at the time was a part of Judiciary Act and that FBI relies on now while seeking the court’s help to compel the tech giant in its investigation. Last month, the FBI obtained a court order, which required the tech giant to write new software to unlock the phone used by one of the San Bernardino, California shooters, Rizwan Farook, who along with his wife killed 14 people in a massacre on December 2. “Thus, according to the government, short of kidnapping or breaking an express law, the courts can order private parties to do virtually anything the Justice Department and FBI can dream up. The Founders would be appalled,” Apple’s lawyers wrote. “Indeed, the Order is akin to an injunction directing specific performance of a personal services contract, a remedy the common law specifically disfavored,” the lawyers wrote. Earlier, Apple CEO Tim Cook called the request akin to creating a "backdoor" into the iPhone. The corporation is arguing, “It is crystal clear” that the case would stretch further than “a single iPhone”, risking to become a continuous policy. There have been over a dozen of cases when the authorities asked Apple to unlock phones. According to the Boston Globe, in a February 1 affidavit, FBI agent Matthew Knight also sought Apple’s help “in the execution of the search warrant by bypassing the lock screen” of iPhone 6 Plus, seized from Desmond Crawford, a member of the Columbia Point Dawgs, one of the city’s most notorious gangs. Knight also wanted Apple to either extract and copy the data from the iPhone or provide his unlock code. “This Court should therefore deny the government’s request and vacate the order,” the corporation said a week ahead of March 22 hearing, when it would square off against the US government. In its briefing last week, the Justice Department accused Apple of "false" and "corrosive" rhetoric, which undermines the country’s safeguards to its rights and freedoms. Commenting on Apple’s brief, the Justice Department said it looked forward to responding to the company’s arguments in court next week. "As we have said in our filings, the Constitution and the three branches of the federal government should be entrusted to strike the balance between each citizen's right to privacy and all citizens' right to safety and justice," spokeswoman Emily Pierce said. "The Constitution and the laws of the United States do not vest that power in a single corporation." In February, soon after Apple opposed the initial request, the Department of Justice accused the company of carrying about its “business model and public brand marketing strategy."